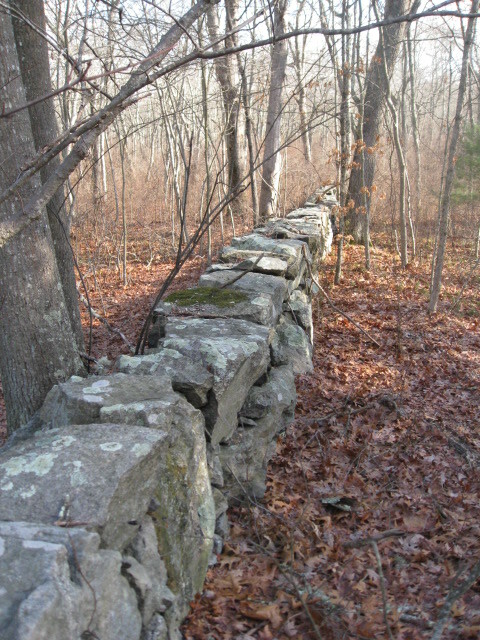 “The stone wall is SUBSTANTIAL (Very large stones used which are carefully placed) but SHORT (Segment length is about 100 yards trending East from Route 2). Its location is on the East side of Route 2, south of the junction of Shannock Hill Road of Route 2, but north of the Pawcatuck River and thus, within the Town of Richmond. It seems to me that it is some sort of boundary wall. If you know anything about this, please share the information with us.